I agree that for some reason we love to try new recipes when we have guests over but I think that being adventurous is what the kitchen is all about. You are a great cook and you know it so just be sure of yourself and I am sure your innovations and your trials will reflect that! Also, hosting people for dinner is not only about the food! Its about the company, the conversation, and about what you eat! Just ask your guests for feedback…. make them a part of your process. So about two weeks ago, I secretly bought the ingredients without him knowing about it and I decided to make cheesecake. I was not a big fan of cheesecake, I am not sure why. Maybe it was because my cheesecake connection is with the Cheesecake Factory, the restaurant that you wait a very long time to get seated at and you eat enormous plates of food, you do get good bread, and you never get to eat the cheesecake because you are too full! At least that has been my experience. And not only are you too full, but the pieces they serve you are also really big. Therefore, I never eat it there and I never want to order cheesecake. I am not 100% sure that this is the reason I did not like cheesecake. I think it also has to do with the consistency and its competition with chocolate. What can I do, chocolate always wins my heart. Now a few weeks ago I made a promise, which you and all our readers are witnesses to. I promised to expand my dessert horizons and experiment with other desserts that are not chocolate. So I made cheesecake inspired by Smitten Kitchen’s NY Cheesecake post. Her cheesecake looked so good and so beautiful that it made me want to try it myself. Mati, it came out so spectacular that I now LOVE cheesecake, and I plan to keep on exploring different cheesecake recipes… next one up is Oreo Cheesecake. The consistency did not bother me at all and I actually love the crust. But who would not? It is graham crackers , sugar, and butter. 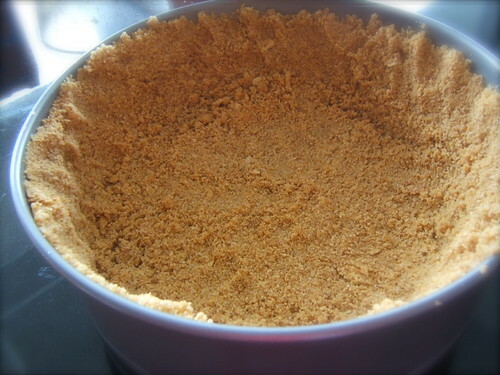 Make crumb crust: Stir together crust ingredients and press onto bottom and up the sides, stopping one inch shy of the top rim**, of a buttered 9 1/2-inch (or 24 cm) spring form pan. You can fill it right away but I like to pop my into the freezer so it quickly sets while I prepare the filling. Make very tall cheesecake filling: Preheat oven to 550 degrees (yes, this is correct). 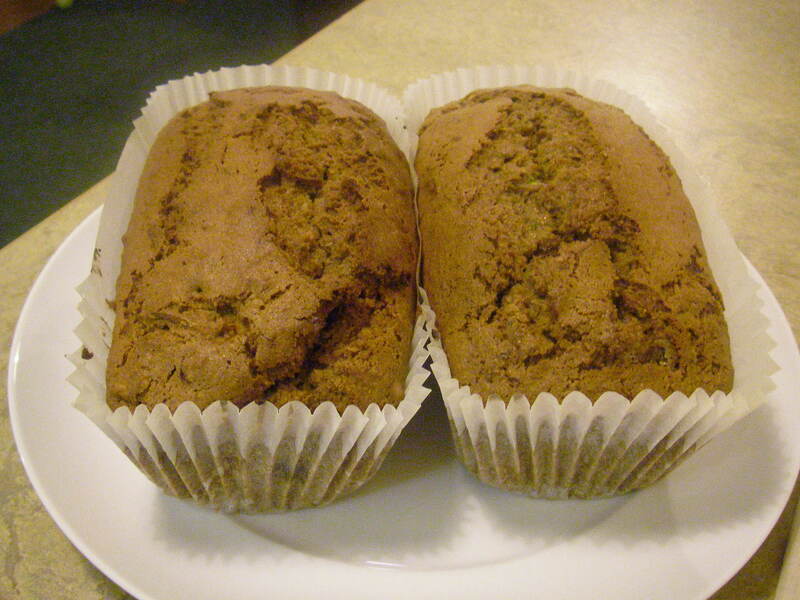 Beat together cream cheese, sugar, flour and zest with an electric mixer until smooth. Add vanilla, then eggs and yolks, one at a time, beating on low speed until each ingredient is incorporated. Scrape bowl down between additions. 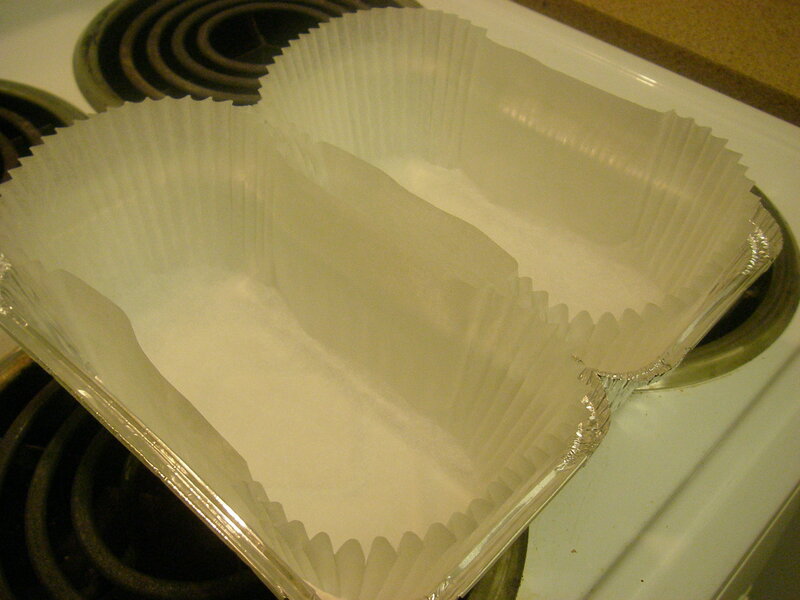 Put spring form pan with crust in a shallow baking pan (to catch drips). Pour filling into crust (springform pan will be completely full) and baking in baking pan in the middle of the oven for 12 minutes or until puffed. Watch your cake because some ovens will top-brown very quickly and if yours does too fast, turn the oven down as soon as you catch it. Reduce the temperature to 200 degrees and continue baking until cake is mostly firm (center will still be slightly wobbly when pan is gently shaken), about one hour more. Run a knife around the top edge of the cake to loosen it and cool the cake completely in spring form on a rack, then chill it, loosely covered, at least 6 hours. You can make it ahead of time: Cheesecake keeps, covered and chilled, 2 weeks. 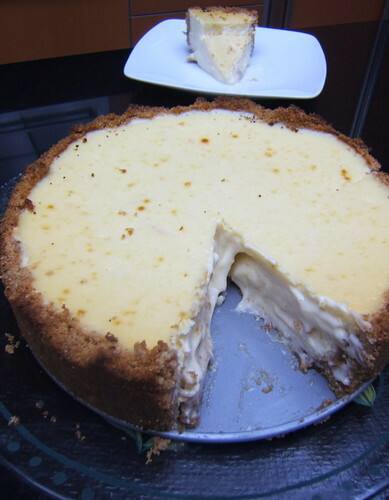 ***You have to be very careful when the cheesecake is baking so that it does not burn. Mine had little evidence that it was starting to burn but I was able to save it on time! Another thing that I learned was that you HAVE to finely grate the orange and lemon zest because if not you are going to be eating cheesecake with ‘big’ pieces of zest in it. 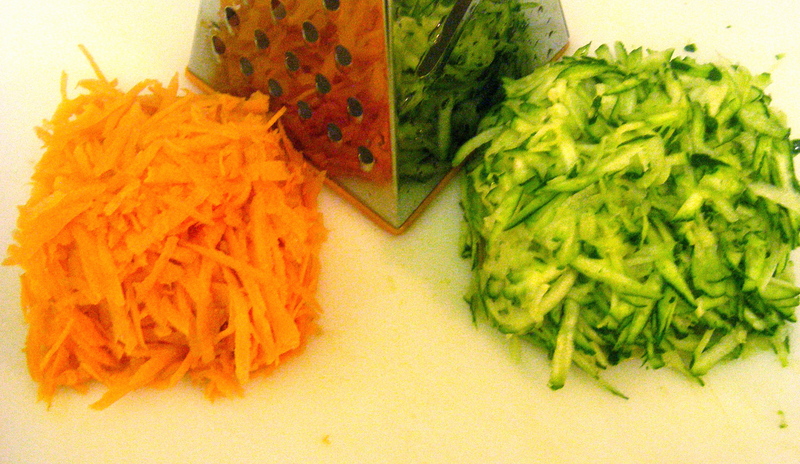 I did not mind it but grating the zest finely will help it achieve perfection. So, as we previously said, I have had a lot of work. One may ask me: So, what do you do when you have a lot of work and deadlines, and you want to unwind? My answer: I invent cooking challenges against myself, blast music, and dance (Turbo Jam style) while whipping up a batch of cake. That is the first reason why I started this bake-off. 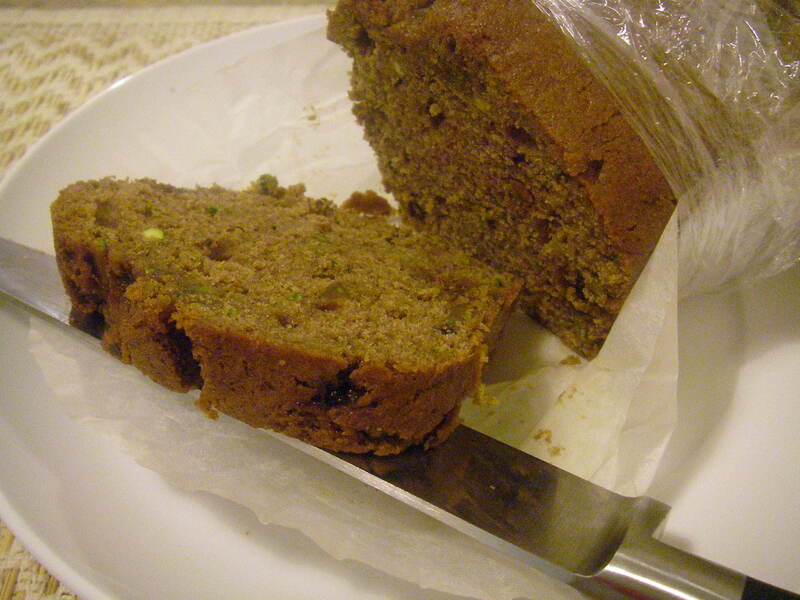 The second reason was, that for a long time now, I have been meaning to see what the difference between carrot and zucchini loaf cake is. 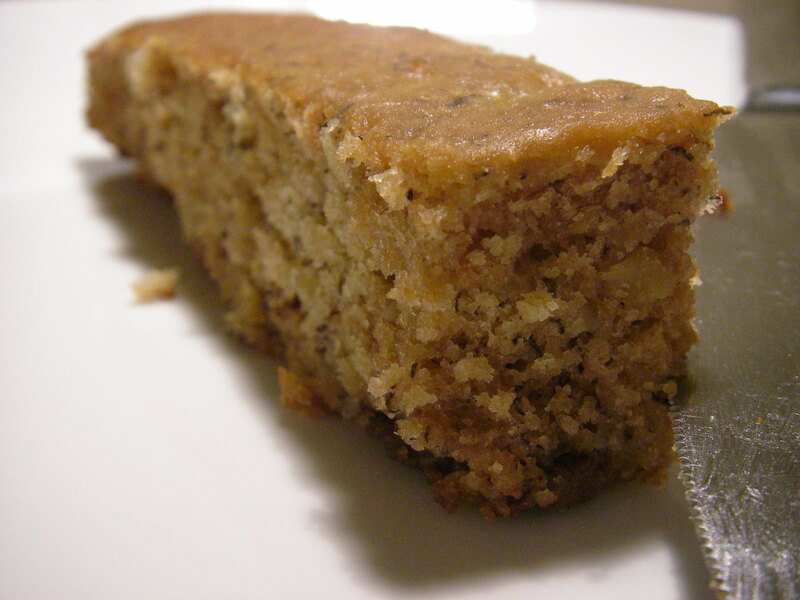 In order to be fair to both ingredients, I worked off of a new cake recipe, so that I would not be partial to the AMAZING family secret recipe for carrot cake. As you may have guessed I went to Smitten Kitchen, for inspiration. In a large bowl prepare the batter. beat the eggs with a whisk. Mix in the oil, sugar and vanilla. In another bowl, combine dry ingredients: flour, cinnamon, nutmeg, baking soda, baking powder and salt. Stir flour mixture into egg mixture. Divide batter in two, and let the games begin! In one bowl, stir in 1 cup shredded carrots and 1/4 cup chopped walnuts. I love this combination! Pour into prepared pans, bake for 60 mins (keeping an eye on them after 50 mins). 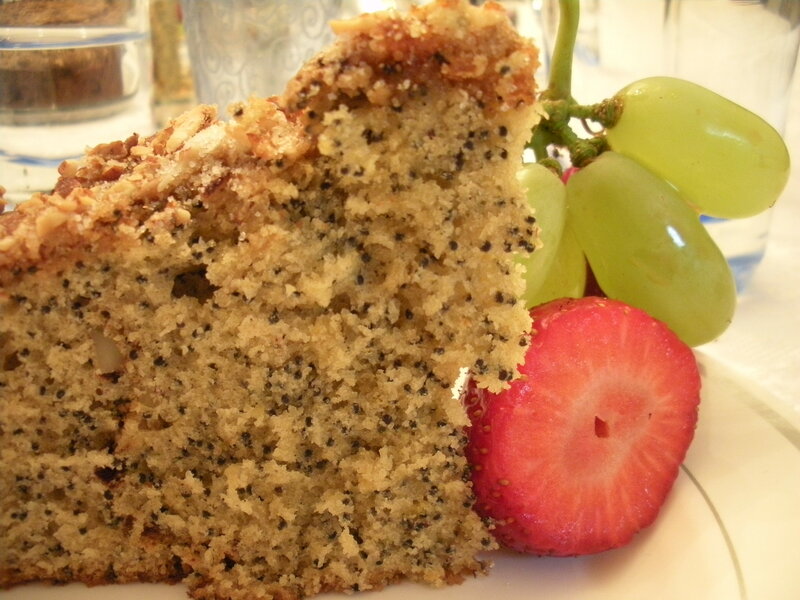 Poppy seeds… I am not sure that they have much of a flavor but I still wanted to make poppy seed cake or cupcakes, so for my mom’s birthday cake I decided to make poppy seed cake. I first checked out a recipe that I almost tried but decided against it because you needed to add 8 egg yolks and I said “No way!” So I went back to the cook book my aunt made a few years ago with family recipes and I found a very good one… and gave it my own twist it calls for 4 yolks so its a little better. 1/4 cup of caramelized crushed almonds- They do not have to be caramelized… my grandma just keeps a stock. Preheat the oven to 350ºF and grease a bundt pan. 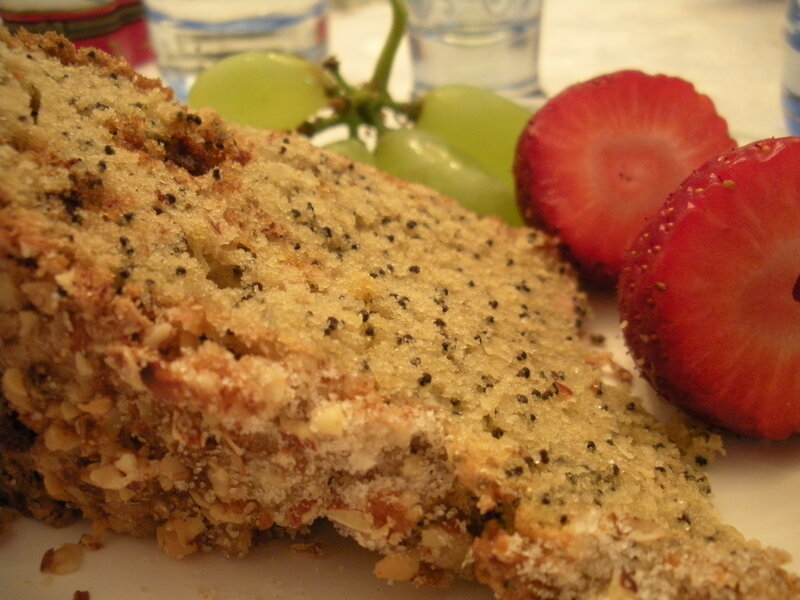 In a small bowl mix the milk, vinegar and poppy seeds. Set aside. In a medium bowl, sift the flour together with baking soda, baking powder, and salt. Set aside. In a large bowl, mix the butter using a mixer and slowly add the sugar first, then the yolks one by one. Lower the speed of the mixer and add the flour and milk mixtures starting and ending with the flour mixture. Mix the egg whites until fluffy and add the vanilla/almond essence and add to the mix. Add half the cake mix and then add half of the filling to the pan. Then add the rest of the cake mix and the rest of the filling on top. Bake for approximately 1 hr. Gone bananas over Frantastic cake! So this weekend, somewhere between the James Bond: Diamonds are Forever Bop, visiting the Ashmolean Muesum(Oldest museum in the UK), and honoring Las Iguanas happy hour specials(as per Fah’s reco), I managed to do a little cooking. Firstly, I found Harina de Maiz! !… at the happy hour restaurant/bar called “Las Iguanas”(for £ 1.85)… Which meant 1 thing… Feta filled arepas! In one word, YUM! I took your advise and sliced the feta, instead of crumbling it in, and so they had a thin even layer of feta throughout. Admittedly, I think it was a little too thin, but they were my first go at arepas! Have some improving to do, but next time J will help me on the process… to show me how to properly make them in person. Question: were your arepas really crumbly? Mine were falling apart a bit, is there a secret to arepa shaping? 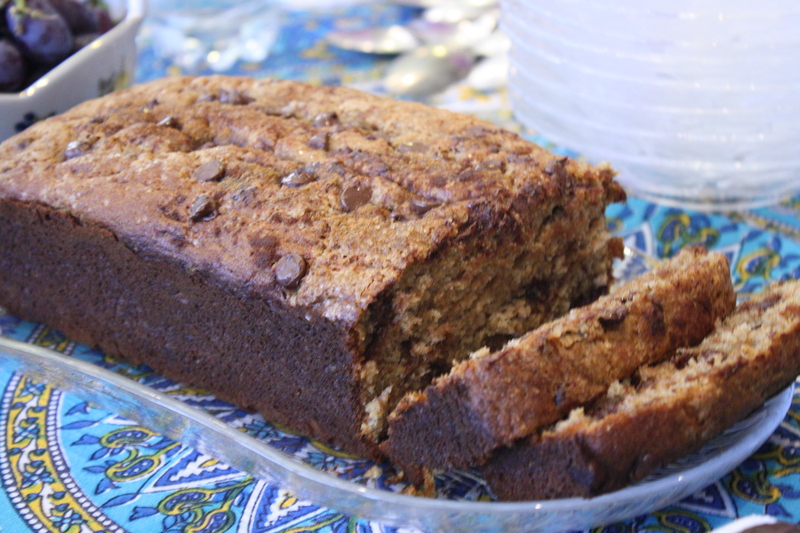 Secondly, I made the banana bread recipe you sent me!… well sort of 😉 I kinda changed a few things, mostly decreased the sugar from the original amount intended, because I doubled the chocolate, and injected a bunch of nuts! Preheat oven to 350ºF / 175ºC. 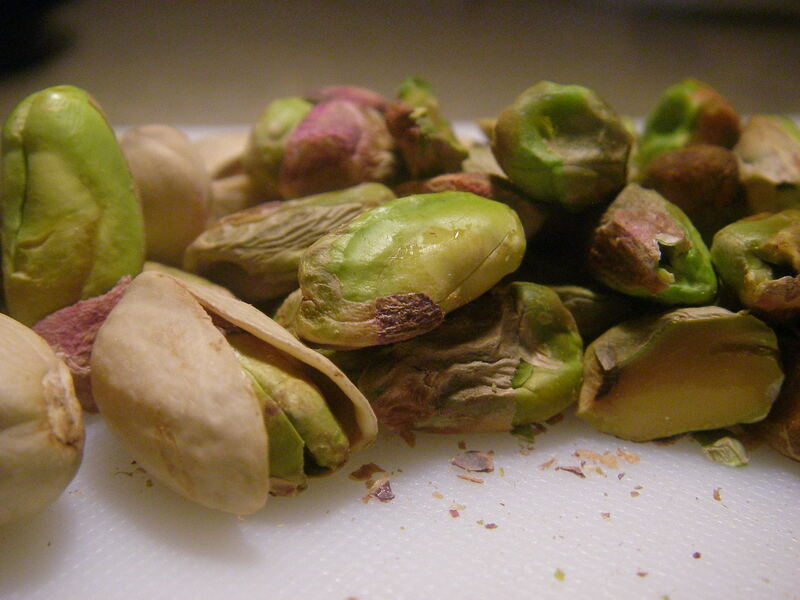 While oven is heating, place chopped nuts on a piece of foil in the oven to roast for 5-7 minutes, or until golden and fragrant. Beat butter and sugar until well combined (fluffy). Add eggs and beat for about 2 minutes. Add bananas, sour cream and vanilla and beat for about 2 minutes. 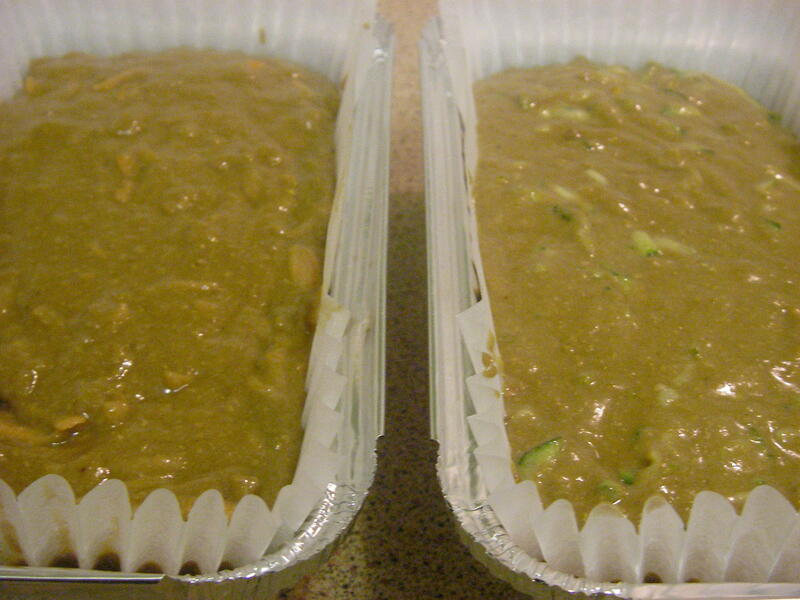 Remove nuts from oven, and let cool. Stir in dry ingredients (flour, baking powder, baking soda and salt) with a large spoon. Grease two loaf pans, or one big pan, as I did. Fill each pan, making sure they are even. 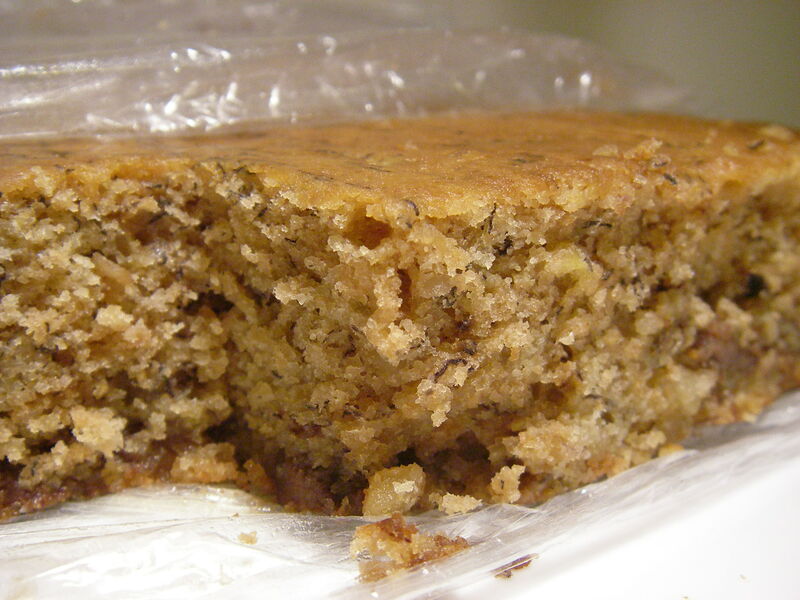 Bake for 40 min – 1 hour(because mine was a much shallower cake, it only needed 25 mins). Keep an eye on things. It will be done, when you insert the tip of a knife into it and blade comes out clean. DEVOUR IMMEDIATELY!!!!! 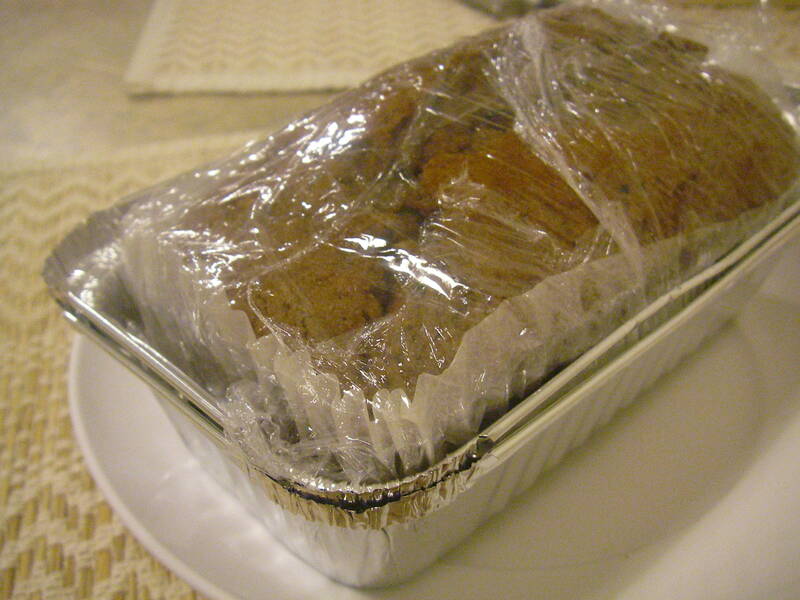 Otherwise, let it cool, and cover snugly with plastic wrap to trap in all the amazing aromatic banana moisture. YUMMMM, thanks for the recipe! !